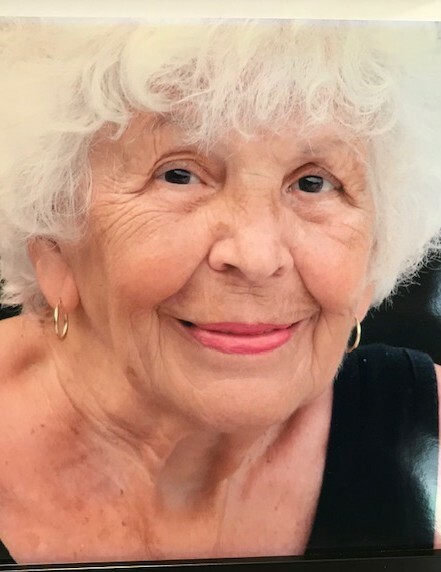 A Funeral Mass for Betty C. Langeloh, 92, will be held on April 5, 2019 at 10:00 AM at St. Anthony of Padua Catholic Church, 523 Plum Street, Fairport Harbor, Ohio. Betty was born to Nicholas V. and Albina Coppo, January 8, 1927 in Cleveland. She passed away March 31, 2019 in Akron, surrounded by her loving family. Betty is survived by her children, Nick (Gail) Colgrove, Mel (Patty) Colgrove, Cathy (Dan) Simunich, Sue Langeloh, Penny (Jim) Skoog, and Jaymie Morris. She was a loving and wonderful Nanny to many grandchildren and great grandchildren. Betty was a graduate of Andrews Schools for Girls, Class of 1946. Her second home, and love was Seattle, Washington, where many family members still reside. She enjoyed traveling with her beloved husband, Jack. She was preceded in death by her husband, Jack E. Langeloh; sister, Frances Williams; her parents; and her son, John Langeloh.